Here are 3 projects which will definitely get you some attention. My Youtube friend, ManWomanFilm shows "How to Make Your Original Bodysuit" with 3 pairs of stockings, some thread and a needle. No background music this time, but english subtitles. Loved this. 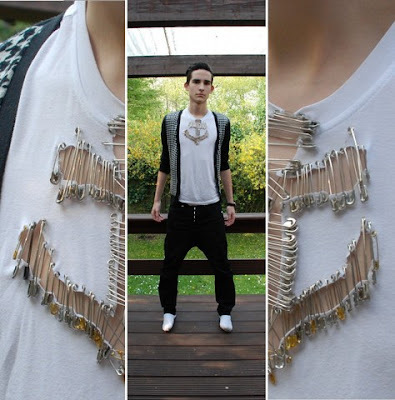 A simple white tee, cut out and safety pins added to define this anchor. ... And there's St.Lucian photographer and designer Fiona who wore this dress to a wedding. She stated "I thought my dress was dry (boring) so I painted some flowers on it." Get started with some fabric paints. 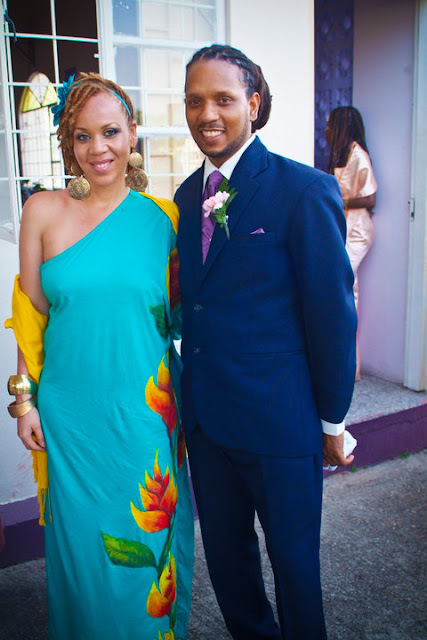 wow they are both so beautiful! i looooove this bodysuit tutorial! amazing!